The boll weevil has historically been a problem for cotton farmers across North America. The weevil wreaks havoc on cotton crops by eating the buds off plants and laying eggs in any cotton the plant manages to produce. The beetle is believed to have crossed into Texas from Mexico around 1893. From 1893 to 1922 the boll weevil managed to spread from Texas to Virginia. The United States has managed to eradicate the boll weevil after 111 years of costly efforts. Except for Texas. Southern Texas has been unable to rid itself of the boll weevil due to its proximity to the small Mexican state of Tamaulipas. Aside from Tamaulipas most of Mexico has been able to rid itself of the bull weevil. The city that has been effected by warring drug cartels for years which has prohibited the state from putting forth a consistent effort to eradicate the weevil. Unfortunately for cotton growers in the United States, Tamaulipas may be the gateway for boll weevil spreading across the U.S. again. 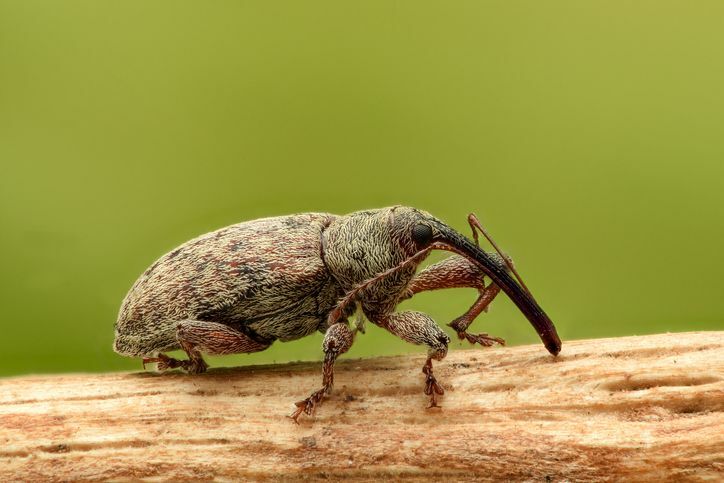 The weevils can easily travel on the strong southeastern winds that blow from Tamaulipas to Texas, meaning the United States may need to help Tamaulipas with their weevil problem or face infestation. This entry was posted in Pesticide and tagged Pest News, Pesticide.